Attack of the clones: Is Behringer's Minimoog a synth replica too far? 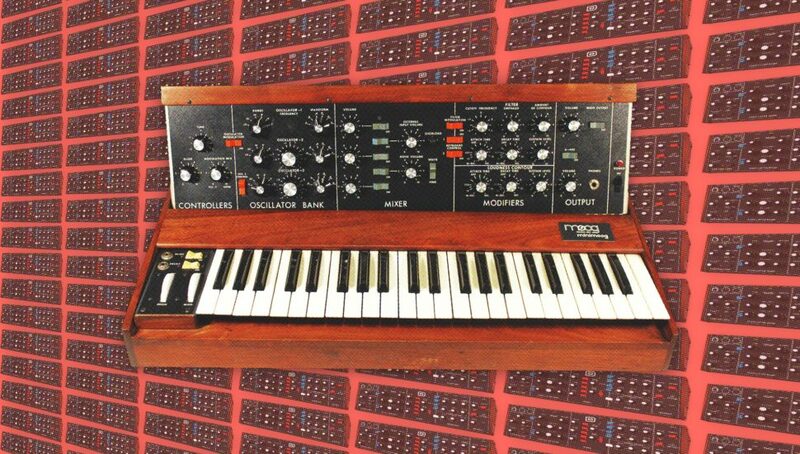 Attack of the clones: Is Behringer’s Minimoog a synth replica too far? Budget gear manufacturer Behringer has been both criticized and lauded for its decision to clone several classic synthesizers. The practice is legal, but is it right? Oli Warwick investigates the murky world of synth clones. Moog’s iconic Minimoog Model D is the kind of synth musicians dream about. Released in 1978 and officially reissued last year, it is beloved by a litany of artists, including Jean-Michel Jarre, Trent Reznor and Gary Numan. But at $3,749, even for the reissued model, the iconic instrument remains out of reach for most musicians. One company wants to change that. Behringer, founded back in 1989, has long been a manufacturer of affordable equipment modeled on high-end equivalents: its DJX900 DJ mixer for example, released in 2011, came in at a quarter of the price of Pioneer DJ’s DJM-700, despite some striking similarities. And up next from the company is an ambitious clone of the Minimoog Model D.
It’s not just the Minimoog, either. Behringer has revealed plans to create clones of the ARP 2600 and Oberheim OB-Xa. His intentions are noble, but opinion has been divided. “This is typical Behringer, just reverse engineering stuff that is already popular then using cheap parts and manufacturing to undercut the originators,” said one commenter on gear news site Synthtopia. 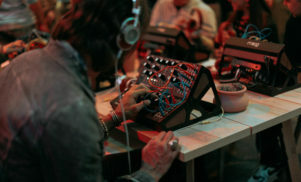 Both Moog and Behringer declined to be interviewed for this piece, but one company has been vocal in their against the practice of synth cloning: Curtis Electromusic, whose CEM3340 chip (found in the Roland SH-101 and Sequential Circuits Pro-One) was recently cloned by Behringer’s CoolAudio company. CoolAudio’s chips are also legal, and used by companies like Elektron and Dave Smith Instruments, but the widow of company founder Doug Curtis said last month he would be “deeply saddened” by the attempts of others to trade on his name. This isn’t the first time Behringer has been criticized for taking inspiration from the designs of other manufacturers. In 1997, Mackie sued Behringer for copying its mixer designs, but lost the case as circuit board designs weren’t covered by the US copyright office at the time. In 2005, Roland took issue with Behringer’s guitar pedals, which appeared to be based on its Boss range. An out-of-court settlement was reached. These examples don’t cast Behringer in a favorable light, but there’s a distinction between copying competitors’ products in active production and working from designs with long-expired patents. Behringer’s Minimoog may have the same technology on the inside, but on the outside, it’s very different. The Behringer D is not a straight replica of the synth, but a module for the widely-used Eurorack format. There’s no keyboard, and the colors suggest a tribute rather than a copy. 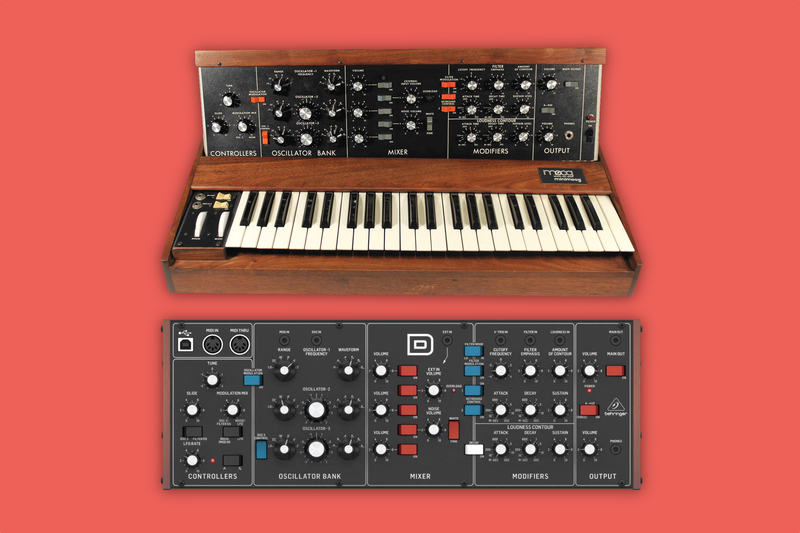 However, as Matthew Higdon, a partner at intellectual property specialists M Law points out, Behringer’s case may not be entirely clear-cut, and it’s more complicated now the official Minimoog Model D is back in production. “The look and feel under law in the UK is not protectable by patent or other areas of intellectual property law but there might be a claim within copyright depending on what it is that has been taken,” he continues. Using expired patents to replicate existing technology is not limited to the music industry. The practice has had a profound effect on the availability of new technology to the public. For example, the expiration of 3D printing patents has released the technology from the grip of a specialist industry, making affordable 3D printers for the home a reality as parts are more widely produced and prices come down. Behringer is by no means the only music equipment company cloning old gear. In fact, the world of modular synthesis is full of clones and tributes. AJH Synth has already made MiniMOD, a set of Eurorack modules based on the circuitry of the Minimoog Model D. Intellijel’s Atlantis is “heavily inspired” by the architecture and sound of the Roland SH-101. The x0x heart clones the TB-303. Mark Verbos is a boutique manufacturer carrying on the legacy and ideas of late synth pioneer Don Buchla, making modules based on his ‘West Coast’ synthesis techniques. His Verbos Electronics modules have the same visual allure of classic Buchla equipment, albeit with a different color scheme. However, Verbos stops short of describing what he does as “cloning”. “There is a lot to be learned from old designs,” Verbos says. “Buchla did a lot of things right and everything his own way. I prefer to learn from his philosophy than to clone his designs. Buchla once told me that the only thing he had copyright protection on was his logo. He didn’t want anyone building his old designs, but he knew there was nothing he could do about it. 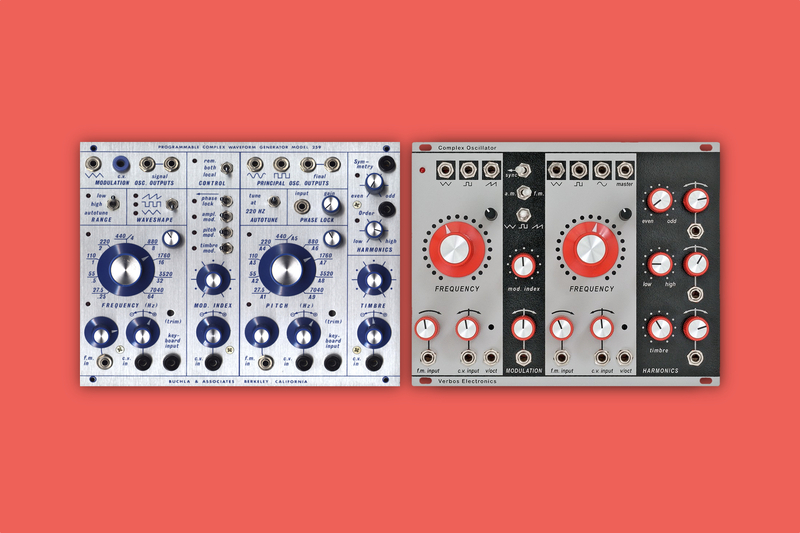 Due to the scarcity and high price tag of the originals, a number of module manufacturers position themselves as creating faithful reproductions of Buchla designs. Sputnik Modular, for example, appears to make no bones about its influences, with the “West Coast Random Source” module a prime example. Designed to fit into a modular set up, the styling and functionality of Jeff’s device is indisputably based on Roland’s original design. “I was quite apprehensive about announcing [the System80 808] because I’m fully aware of the fierce criticism that can follow the announcement of a new instrument,” Lee explains. Lee says that despite some criticism, the response to the System80 has been largely positive. Roland’s modern cousin of the 808, the TR-8, is a very different machine, and there are clearly many people who want to own a device with the same user experience as the original TR-808. You only have to look at the success of a company like Cyclone, who specialize in imitation 606s and 303s, for evidence that buyers crave the original experience. 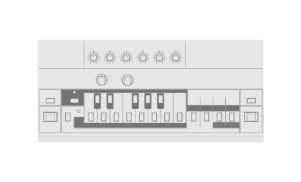 Latvian modular company Erica Synths is equally open about the inspiration for its latest product, “a Polivoks-inspired DIY modular system”. The Polivoks is a coveted Soviet-era synthesizer that fetches high prices on the second-hand market, with its own fully-fledged reissue in the works. But if a like-for-like replica is incoming, why bother making a ‘Polivoks-inspired’ system for musicians and hobbyists to build themselves? However, a career in music does not always guarantee enough money to afford the hardware you want, particularly in the early stages of your career. “I was poor when I started producing and that held me back a bit because I couldn’t afford to buy any synths,” says Shanti Celeste, whose classically-rooted house and electro goes hand-in-hand with old-school synth textures. Celeste is the kind of producer that the new wave of affordable gear from Korg and Roland seems aimed at, and whose success Behringer is clearly hoping to capitalize on. It seems strange that Behringer should be so preoccupied by cloning old gear when its first synth, the DeepMind 12, has been received positively because it’s not completely based on a vintage instrument. Sound on Sound applauded the synth for its own merits, while a recurring discussion on forums has been that Behringer would be better off focusing on new ideas rather than rehashing old ones, such as the company’s bold step into augmented reality. Behringer isn’t the first company to clone a Minimoog, let alone a synth. You can also buy software versions by companies such as Arturia and Native Instruments. However, while the Behringer D will be affordable, it will probably lack the luxury feel of Moog’s own reissue. Moog’s focus is on building high-end, handcrafted instruments, and that’s something Behringer will never be able to match while keeping prices so low. And, as Bristol producer Facta points out, it won’t have the same aura.